Do not use belt dressing on the drive belt. Belt dressing causes the breakdown of the composition of the drive belt. Failure to follow this recommendation will damage the drive belt. 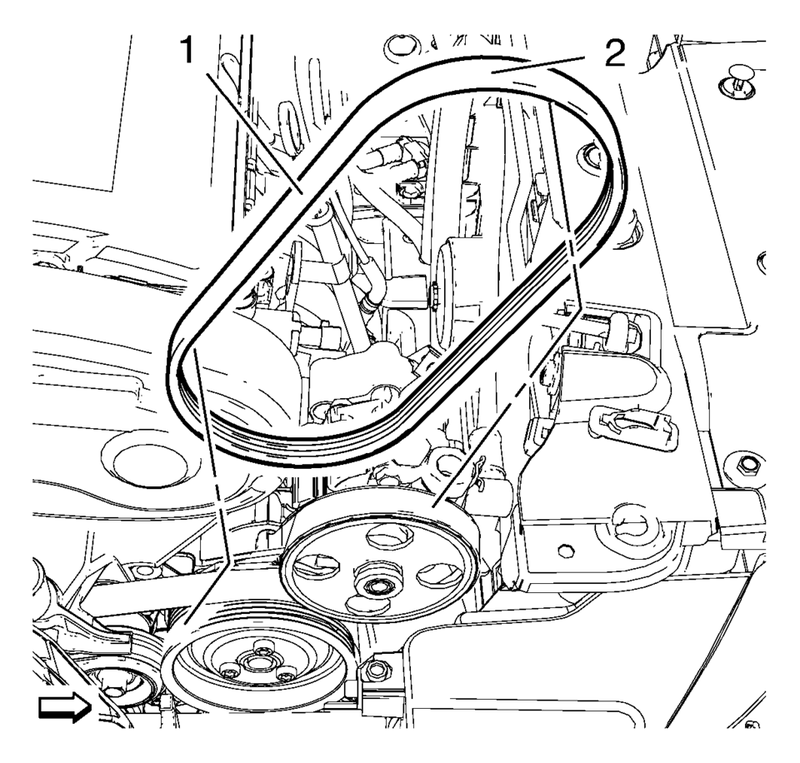 Cut the power steering pump belt (2) with a appropriate cutting tool at position (1). Remove the power steering pump belt (2).